This public art is displayed in the Plaza de la Constitucion. 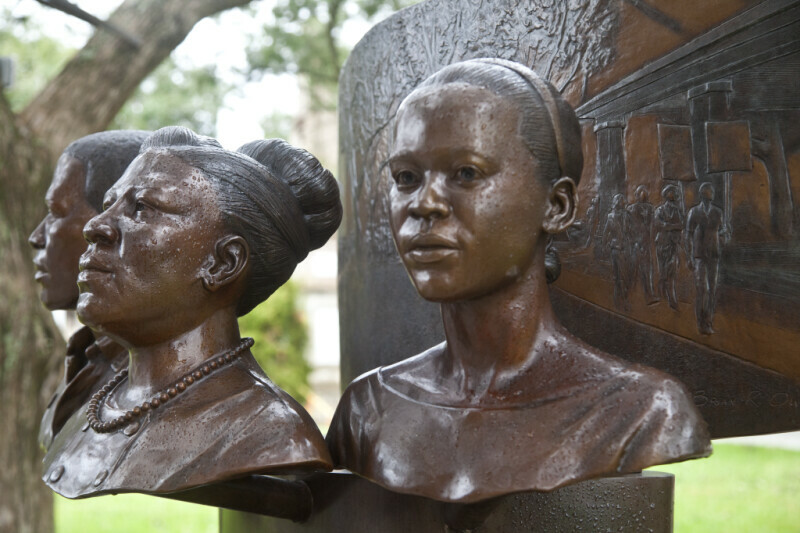 There are four bronze portrait busts, each representing a typical person involved with the Civil Rights movement. The four busts are shown against a bas-relief of demonstrators marching, in the Plaza, during the Civil Rights Movement. The bas-relief shows people marching with signs, near the Public Market Building, which is sometimes called the Old Slave Market.